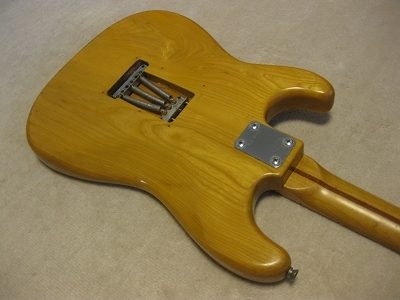 This is fair condition natural finished SR-500. Outlook is good as 30 years old guitar. But I rated this guitar as Fair. Because, the body back has many scratches even these are not really visible on picture. The production year is around 1975-76 from its serial number. The SR-500 is a bit different from 400. 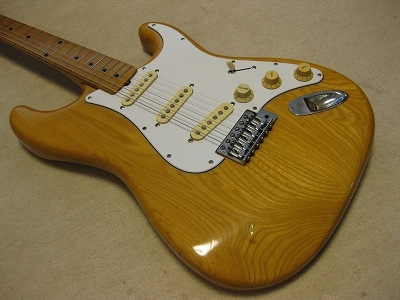 SR-400 is 2 PLY wood body. 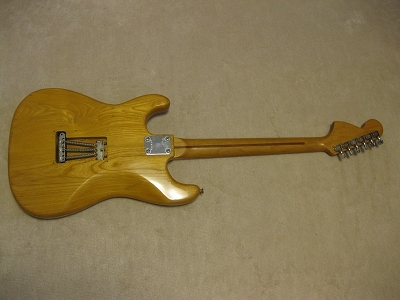 SR-500 is sold SEN body (2-3P). I'm not sure how much sound different between 2 PLY and solid. The sound like not big different. The neck is fine. 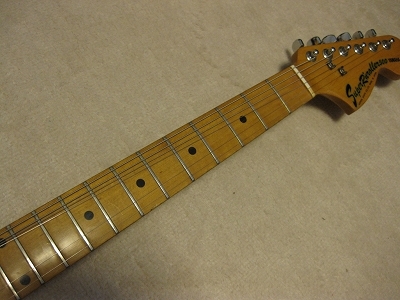 Frets are proper condition. 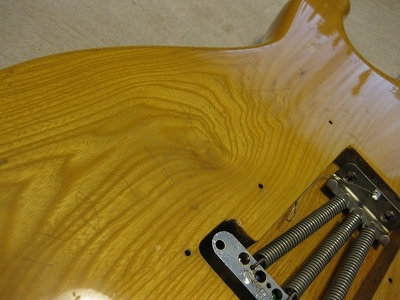 I felt that maybe previous owner leveled the frets. Well, but still O.K. for coming several years. 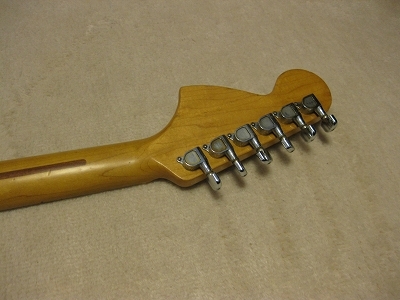 Truss Rod is adjustable (I have checked it). The body weight is approx. 3.82Kg. 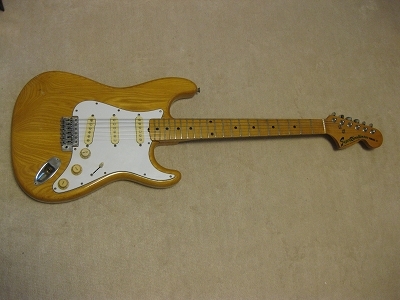 Yamaha is one of good buying JV guitar. Because, Japanese collectors are not paying attention so much. 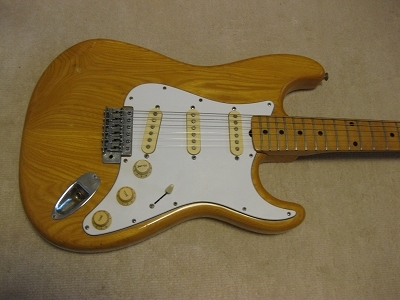 The price is still reasonable as vintage (used) guitar. 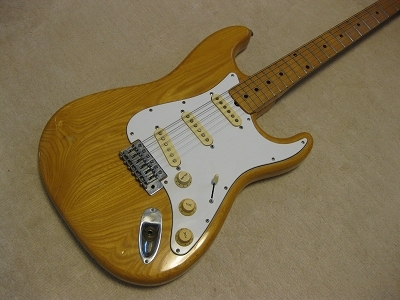 These Yamaha was made by Kasuga in 70's. 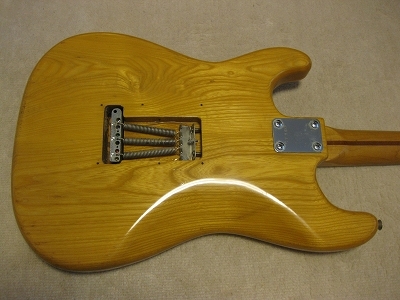 Well, the PU cavity is different from original Fender, but the tone is pretty good. The sound is pretty good. 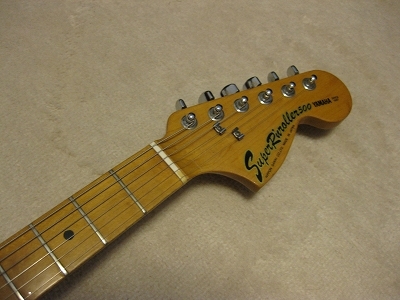 Many my friends and clients use Yamaha SR for main guitar instead of vintage Fender. How the people evaluate the value of guitar. I think mostly just brand name. Note : Maybe Volume knob is not original.